How to rent a car in South Korea? If you want to discover this country, you’d better rent a car in South Korea. A car trip to South Korea may turn into an exciting experience you will be eager not only to share with your friends but also write an essay or maybe even a book. Before packing up, you need to ask yourself a few questions. How to properly organize a trip to South Korea if you decide to drive a rental car? What happens if you refuse to issue an insurance? How should foreigners driving in South Korea book a car online? 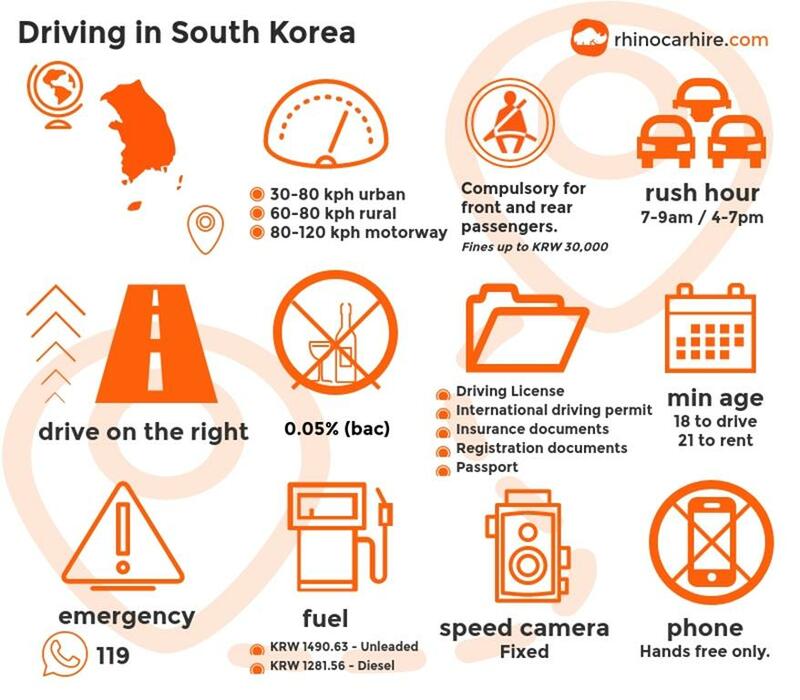 Keep on reading and you will find some helpful tips on how to drive safely in South Korea. South Korea is a modern state with a highly developed road infrastructure. 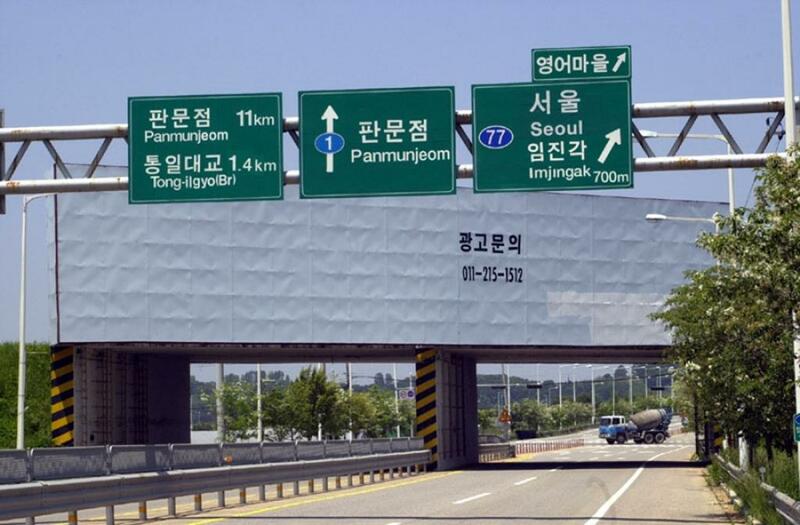 Due to its small size, it takes 4-5 hours to reach the furthest city from the capital of the country (Seoul) by car. Therefore, take into account that highways here are of extremely high quality. However, most of them are toll. Highways cost 6 (KRW 7,600) to 20 Euro (KRW 27,000). Toll-bridge and tunnel will be charged separately (however, not everywhere). The quality of asphalt on South Korean highways is excellent both in the centre and the remote regions. Junctions and exits remind a bit of the American ones. Road signs look awkward, however, are still quite clear since they are available in English too. Highways are all numbered, speed is specified. However, in South Korea, there is a concept of minimum speed (50 km/h), whereas the maximum speed is 100 km/h on highways and 80 km/h in the countryside. In South Korea, people drive on the right side of the road. Traffic lights are installed on the ground. Car windows are tinted, even the front ones. Drivers have styrofoam cubes attached to the doors of their cars to protect the neighbouring vehicles. There are red stripes across the road to prevent drivers from gathering excessive speed on the downhill. A white rhomb on the asphalt warns the driver of a crossing up ahead. There are surveillance cameras and radars everywhere in South Korea. 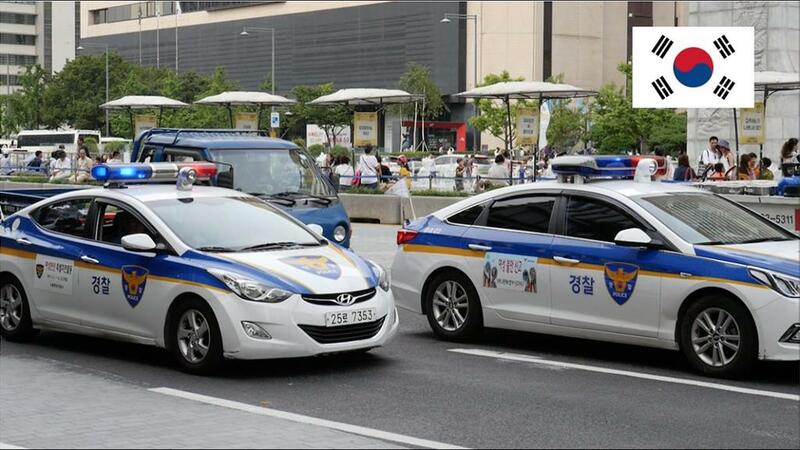 That’s probably the reason why there are almost no police cars on the roads (except for Seoul). South Korea is a safe place. It seems that local policemen don’t keep their weapons close. They always drive with lights flashing, and no one tries to hide somewhere in the bushes. Statistics say that in 2016, there were 331,720 injuries in transit accidents reported in South Korea, decreased from 350,400 in the previous year. By the way, one of the most unusual things about South Korean highways is a so-called “light bar on the stick” — red-blue lights (emergency lights) on the stake to the right of the road. If they flash, it means there is a car crash or traffic jam up ahead. The latter happens quite often in the capital of the country, however, there are almost no traffic jams in the suburbs. Almost all vehicles on South Korean roads are those of Korean production: Kia, Daewoo, Hyundai, SsangYong. However, somewhere in the country you may see people driving two-wheel tractors. All passengers (including front and rear passengers) must wear a seat belt. There are no exceptions. Using a mobile phone while driving is illegal. You must have a hands-free set. Drunk driving is prohibited in South Korea. You are allowed to switch on dipped beam lights in case of poor visibility on the road or at night. Almost all public transport run on gasoline, whereas half of the private owners have already been using this type of fuel. The table below shows a number of vehicles in South Korea registered by fuel type. There is nothing special about gas stations in South Korea — ask a filling station attendant to fill up your car and he will do it with great pleasure. Credit cards are accepted everywhere. There is always a leisure area, service center where drivers can take a rest. Toilets (traditional one and an Asian squat) are always large and clean. Public catering includes fast food and various restaurants. If you choose seafood, it will be cooked right in front of you. Every gas station offers simple baby strollers and wheelchairs (for free). Highways in South Korea are free from garbage and fallen leaves. During a cleanup there is a “roadworks” sign saying there are road workers ahead or nearby. Moreover, the speed limit through roadworks is reduced to 30-40 km/h. There is also a mannequin standing nearby that has electricity. The robot dressed in a uniform raises and puts down its hands holding a wand that flashes at night. There are almost no free parking lots in Seoul. An average cost of 1-hour car parking (open air, underground or multilevel) is KRW 5,000 (about 3.5 Euro), a day parking costs KRW 35-40,000 (to 30 Euro). According to Statista.com, in 2015, there were approximately 1.52 million parking facilities in South Korea. Think ahead about how you are going to navigate South Korea. TomTom, iGo, Sygic, Navitel, Garmin have no Korean maps. There are offline maps for Galileo and OpenStreetMaps, however, the navigation system voice won’t guide you. Thus, you should create an account in Korean AppStore, log in and look through the applications in “Navigation” section. There are several free programs, however, they are all in Korean and require an Internet connection. SIM cards are freely sold at the airport. All you have to do is find the necessary coordinates.Traditional decimal GPS coordinates (Google Maps format) are not functional: a Korean program does not recognize them. However, there is one local feature: generally, you can find anything by its destination address. Drugstores, shops, hotels or restaurants have phone numbers. Navigators in South Korea can find addresses by phone numbers which is quite convenient. Then you should convert GPS coordinates and addresses to Korean phone numbers (through Internet, however, you’d better use map.daum.net website instead of Google since it has a street panorama view 3D). The whole route will be represented in a clear-cut manner. It helps you to easily drive in South Korea. If you are a tourist, you can’t get a car without an international driving permit South Korea. Moreover, you should be over 21 years and have at least 1 year of driving experience, provide your valid driving licence, credit card and proof of ID (passport). You can rent a car in the following cities: Ansan, Anyang, Busan, Cheonan City, Daejeon, Goyang, Incheon, Namyangju, Seoul, Suwon, Uijeongbu. 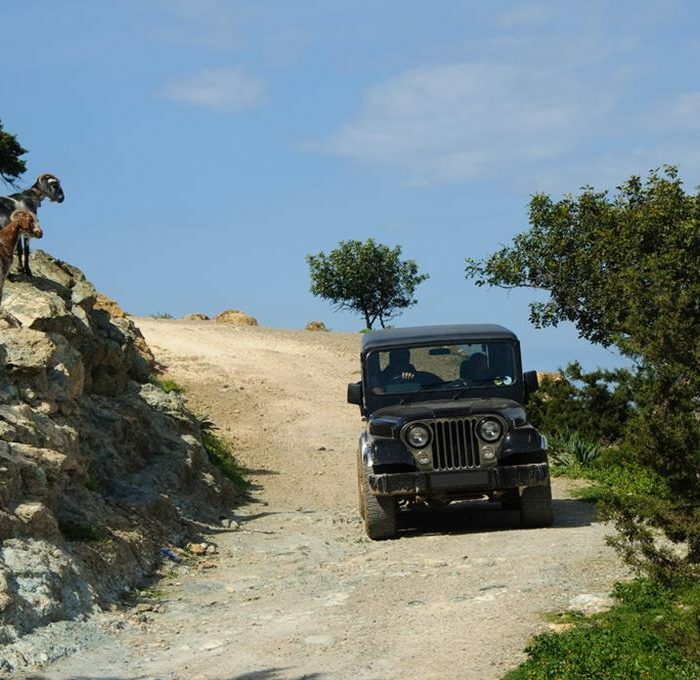 Cheap car rental is available on Jetcost website that compares thousands of offers (various vehicle classes). You can rent a car through RentalCars24h.com. RentalCars24h.com provides a reliable rental service in Incheon. Large car rental agencies at the airport work round the clock. driving experience not less than 3 years. If anyone else is going to drive a rental car, you should also register that driver to use an insurance in case of a car accident. The second driver has the same rights and if he has a valid driving licence, he can register at the rental office. You can also register one person for free. The cost includes a comprehensive car insurance. 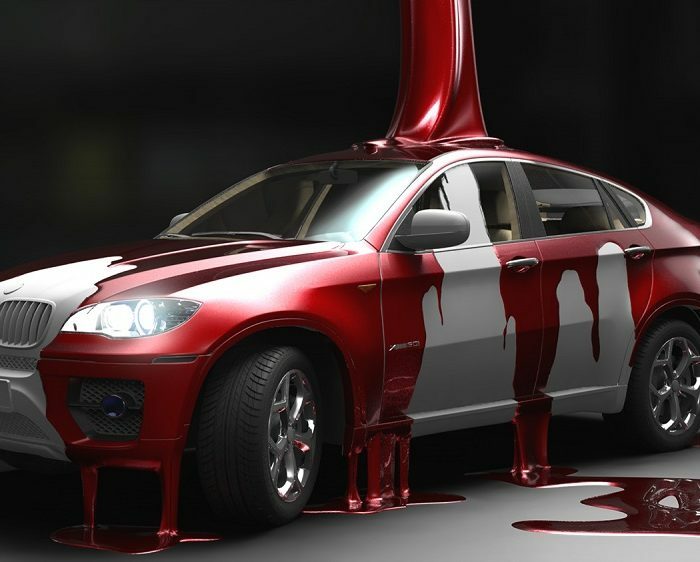 Insurance covering damage to the car is not included in the price of the rental. You should additionally obtain this type of insurance with the correspondent rental agency. Otherwise, you won’t get an insurance claim to cover damage to the rental vehicle. However, you will have to pay a 50% penalty for the period of car repair. For instance, if due to a car accident a vehicle has been under repair for 3 days, you will have to pay KRW 75,000 which means 50% of KRW 150,000 (the daily rental price is KRW 50,000 per 3 (days) = KRW 150,000). *For foreigners booking by phone is not available. Instead, you can rent a car at the airport counter after going through a simple procedure. What places can I visit on a rental? If you decided to rent a car in South Korea, you have a chance to see the attractions of this amazing country with your own eyes. 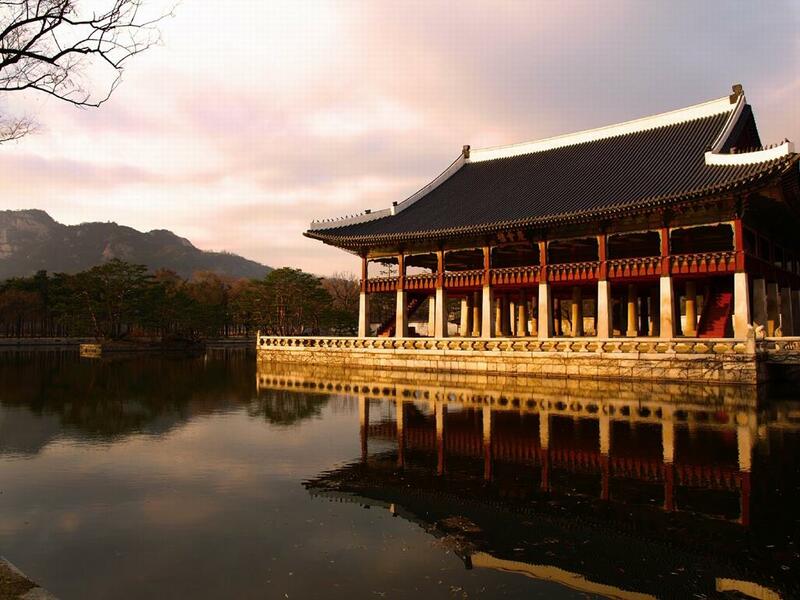 Bulguksa, a Buddhist temple was built in the 6th century. This spiritual treasury of the country is surrounded by picturesque bridges, stone steps, and amazing sculptures. And right beside the temple there is a legendary stone grotto with a giant Buddha statue. Seoraksan National Park will attract those who love nature and dream of escaping from the city to enjoy lovely bird songs. Tumuli Park is situated not far from Seoul. 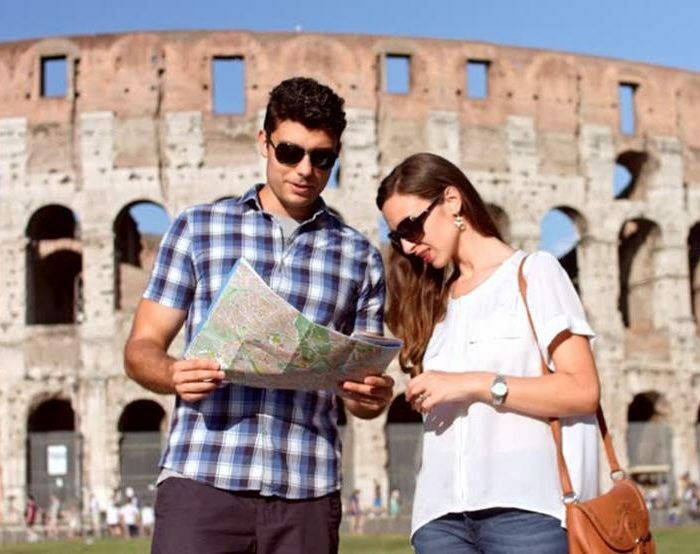 It amazes tourists with its magnificent nature and remains of ancient tombs. The Namsan Tower in the centre of Seoul has a beautiful park around it. Changdeokgung Palace was built in the 15th century and is surrounded by Huwon garden where back in the day the kings preferred to take a rest. Thermal springs of Haeundae contain a small amount of radium, thus, have healing power. As you can see, a car trip to South Korea is a good opportunity to gain new experience, strong impressions, enjoy exotic Asian attractions and test your strengths and capabilities under difficult and unexpected circumstances. This country with its amazing history, magnificent nature and splendid resorts has got something worth looking at. If you still have no international driving licence, apply here. It would not take long. Our IDL gives you the confidence that you will be understood anywhere in the world!